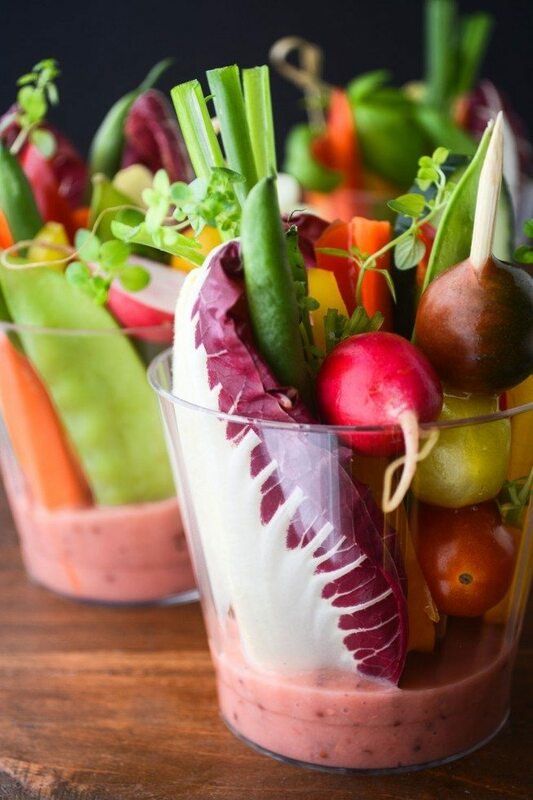 These little finger salad cups with rhubarb vinaigrette are just perfect for spring and summer entertaining! The cups should be full but not crowded. Assemble just before serving.